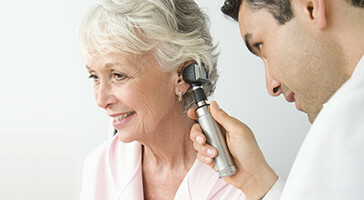 Did you or your loved one's hearing suddenly worsen (within a 24 hr. period)? Did you or your loved one experience a loss of hearing following a blow to the head? Do you or your loved one experience hearing loss accompanied by dizziness or sensations of pressure or pain? Do you or your loved one have difficulty hearing in noise, such as noisy restaurants? Do you or your loved one have difficulty understanding speech on the telephone? Can you or your loved one understand men better than women or children? Do you or your loved one seem to hear out of one ear better than the other? Do you or your loved one have difficulty hearing someone who is speaking in a whisper? Do you or your loved one turn up the volume on the TV? Do family members make comments about you or your loved one's ability to hear? Do you or your loved one frequently ask people to repeat themselves? Have you or your loved one been or are frequently exposed to loud noises? If you or your loved one answered "yes" or "sometimes" to any of these questions, you may be suffering from hearing loss. Call (406) 586-0914 today to book an appointment for you or your loved one's hearing evaluation!